Christendom College’s Quality Enhancement Plan (Q.E.P.) focuses on enhancing the student learning environment by integrating students’ career discernment into their liberal arts education. The Q.E.P. emphasizes not only a discernment which builds upon the liberal arts in light of the College’s mission but it also ensures that students have basic 21st century research, computer communication, and job search competencies. The plan, called The Education for a Lifetime Program (E.L.P. ), is a key component of the career development initiative undertaken by the College. other spanning the Junior and Senior years. The courses aim to help the students 1) develop the skills needed to maximize professionalism in the workplace; 2) develop an understanding of themselves; 3) develop a knowledge of the opportunities that the liberal arts education at Christendom College has provided for them; 4) give the students the confidence they need to excel beyond their peers in their post-graduation pursuits. As part of the reaccreditation process, the College’s leadership team set out to create a Quality Enhancement Plan (Q.E.P.) which focuses on learning outcomes and/or the environment supporting student learning and accomplishing the mission of the institution. The plan was developed through a broad-based involvement of institutional constituencies. Mathematics and Science Education at Christendom College. Oral communication skills in Christendom students. In the Summer of 2010, after consultation with the College community, Dr. O’Donnell decided that the Q.E.P. would be concerned with improvement to career preparation. During the 2010-2011 Academic year, the QEP-LT developed the original proposal into the following form, which is entitled Education for a Lifetime: Christendom’s Academic and Professional Integration Program. Since that time, a number of aspects of the program have been assessed and the changes that have been suggested by the students have been implemented into the program. 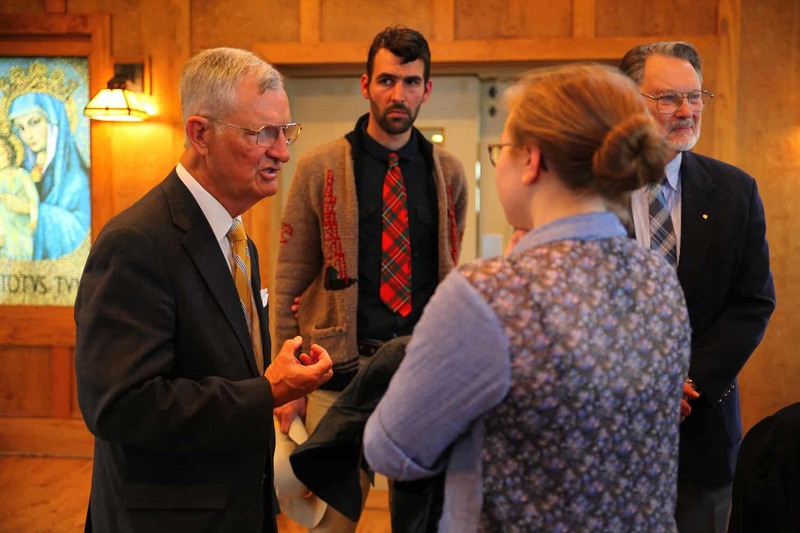 The goal of Christendom College’s Education for a Lifetime: Christendom’s Academic Career Integration Program is to enhance the student learning environment by integrating students’ career discernment into their liberal arts education. Specific and measurable learning outcomes have been identified by the QEP-LT. These outcomes were considered by the QEP-LT to embody the goal of the ELP. For each course, there are specific student artifacts which are used to measure the attainment of these outcomes. Students will demonstrate an understanding of the purpose of a liberal arts education and how it bears on their future role as men and women who contribute to the Christian renovation of the temporal order. Students will demonstrate knowledge of leadership and service and how those virtues can be applied in their future lives as faithful, informed, and articulate members of Christ’s Church and Society after graduation. 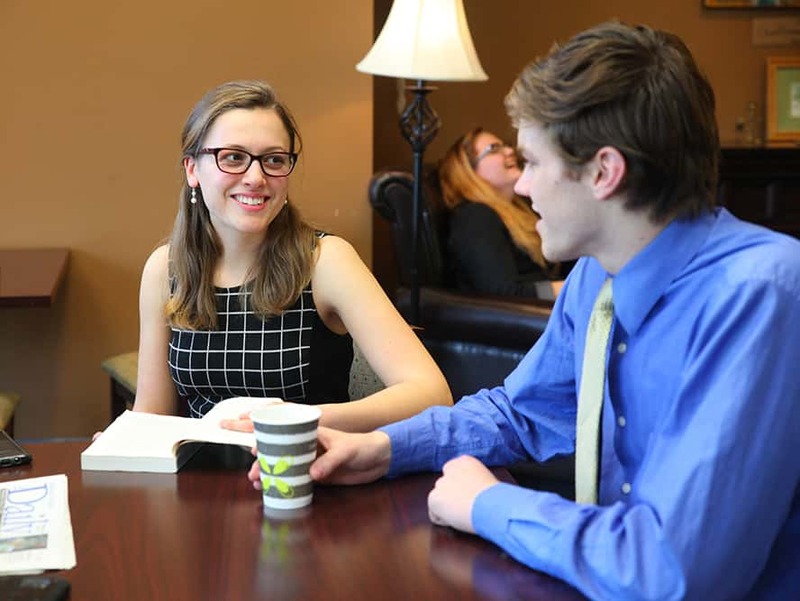 Students will demonstrate an awareness of their personality preferences and develop a practical strategy to incorporate that knowledge into their plans for their personal growth here at Christendom. Students will develop a personalized Career Portfolio. Understanding the value of a liberal arts education. Thinking about their long-term, and short-term, career-related goals. Understanding the many aspects of a career portfolio. Determining their unique personality, strengths and weaknesses. Understanding the 4 steps to career planning. Learning the importance of getting involved in on-campus groups, clubs, sports, or activities to improve their leadership and service skills which can strengthen their resumes. Searching for career fields that are in line with their interests, temperaments, and personalities. Researching summer jobs and internships to better build their resumes. Writing a “college student” resume and understanding the basics of writing a cover letter. Understanding the importance of networking in finding jobs. Creating a complete online LinkedIn profile. Identifying two areas of employment in which they are interested post-graduation and then identifying three alumni/friends as networking contacts in each of the three areas. Understanding Catholic leadership for the lay apostolate. Researching graduate schools of interest to identify admissions requirements. Understanding the “job search process” and the importance of networking in that process. Writing a job-focused cover letter and resume, based on a specific job description. Understanding how to prepare for an interview, and how to follow up. Understanding how to answer the top ten interview questions for a specific job. The basics of Microsoft Excel and Powerpoint. Understanding how to ask people to be references, and getting recommendation letters. Understanding the basics of: budgeting, buying cars, mortgages, finding housing.